PRESSRELEASE: Spazio Tadini, with the “Space, body and power” project, hosts Emanuel Gat, for his first time in Milan, on Tuesday, March 20, 2012, 20:45 PM. 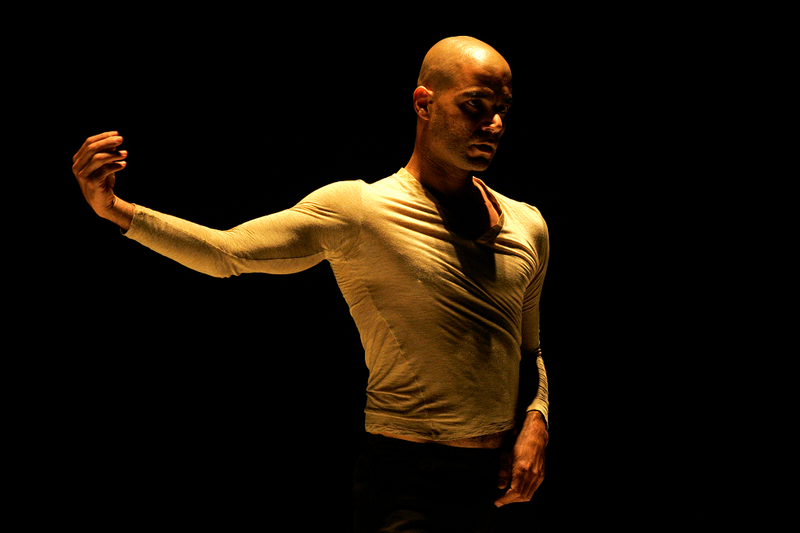 Emanuel Gat is considered a purist of dancing, in which the sensuality and physical aspects of movement comes forward, and he is, at present, one of the biggest choreographers in the world. 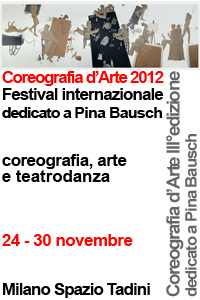 His last show, Brilliant Corners, which investigates the ephemeral art of dancing which is born, dies and always renovates in the circumscribed space of a gesture, has been presented in worldwide premiere in Venice at the Teatro Piccolo Arsenale, in Montpellier at the Festival Montpellier Danse 2011, in Paris at the Quartier d’Eté Festival, in Berlin at Tanz im August and in many other international events. 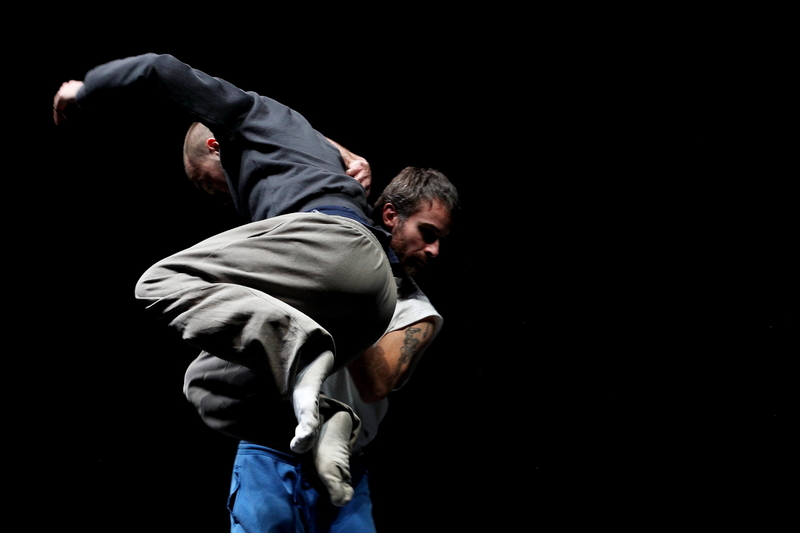 “I strongly desired Emanuel Gat’s presence because I greatly esteem him as a choreographer, obviously. The alternance of music and silence, both involvement and emotion, rarely happens on stage. It rarely happens to be captivated and to be entangled in a choreography from the beginning to the end, without noticing time passing by. He is an artist with a marvelous sense of movement, lines that are elegant but also alive, real. He looks for new ways to understand things through rules and mechanisms that get more and more complex to exalt pure dancing. 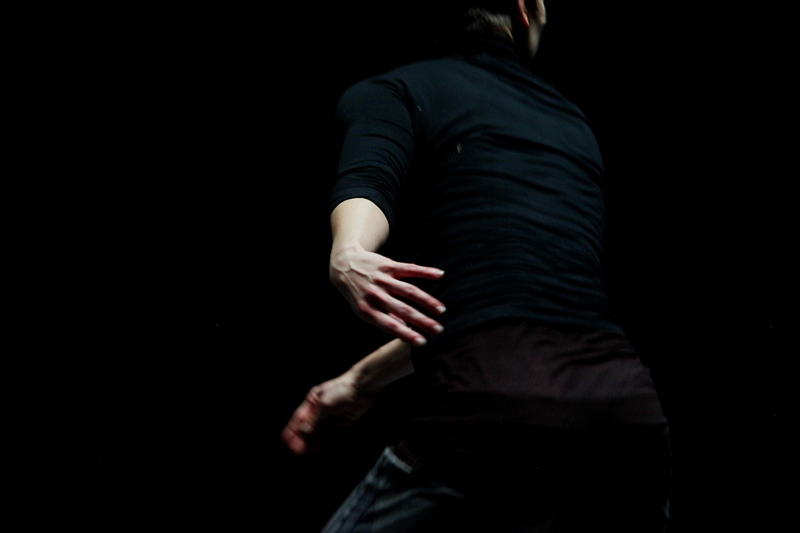 He contrasts silence and sonority, he travels in a choreographic structure dedicated to stillness and movement. His choreographic process marks, to me, fascinating stages of the energy of the body which is full of potentials to explore, again and again. His is pure movement. And what a pure movement it is! I love his pure acts of creation and composition. The manifest mechanism of experimentation, research, composition and creation of pure movement. His wonderful exercises of style, his virtuosity, and maybe also his self-indulgence… what’s wrong with that? And then… who says there are not pathos and themes in that? To start from what we are, from the body, his potential, development and mechanisms, to discover movement step by step instead of inventing it, is it not also a way to investigate, for example, contemporary conflicts and contradictions? Economy, politics, war, society… it is what we are. And we are first and foremost a body. In the specific of “Space, body and power”, to talk about space and body, I will begin from Brilliant Corners, in which Emanuel Gat brings to life a choreography that is a continuous and virtuous invention, a questioning, reworking and rethinking of the relationship between the dancers, of the dynamics in space and in every single gesture/sign, and development or consequence of it. A sensuous, voluptuous and captivating investigation of the individual/body, flesh and bones, in space and in the relationship with the theatrical space throughout the sounding – inner, also – of weight, gravity, rhythm.